Step 1: Uncap under eye concealer. Step 2: Discuss threat modeling. Step 3: Dab on under eye concealer. Step 4: Switch from passwords to passphrases. Cosmetics tutorials and cybersecurity may seem like strange bedfellows. One deals in eyeshadow and moisturizer; the other in two-factor authentication and network vulnerabilities. But in the world of YouTube — where beauty vlogs are abundant and reliable cybersecurity advice is scarce — they actually make a pretty good couple. Borrowing beauty vloggers’ DIY aesthetic and focusing on the real-world applications of infosec (e.g. thwarting nosey partners), I filmed tutorials that everyday users might find appealing. 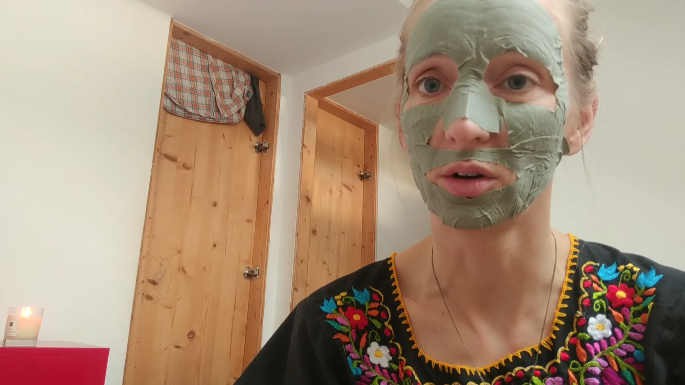 You could squander precious time watching twice as many videos: one on applying korean sheet masks, and one on the merits of password managers. Lesson One: My milkshake brings all the boys to the yard (and why that might be an issue).